Making money and generating traffic is very hard if you don’t have the proper tools and keywords. So, As a digital marketer, am today going to mention the Top 5 Tools every Digital Marketer should know and should use. The list mostly has paid tools and some free tools too. So, The Tool which deserves to be on the number 5 is the Open Link Profiler, Read the review below. Open Link Profiler gives all the data about a blog or a website’s backlinks and they also mention the source from it was made, the anchor text which was used and shows that is it dofollow or nofollow. I don’t know why but sometimes Open Link Profiler shows the data of backlinks wrong but it is still tolerable because we are getting it for free and we should not have any complaints. 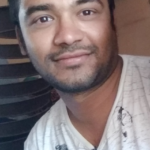 In my opinion, Open Link Profiler is a great tool and somehow good tool because they are providing us free services and we should not complaint more. My Rating For Open Link Profiler would be 3.5/5. This is another very important a digtal marketer should know because building an email list is a very important aspect of SEO and other things today. 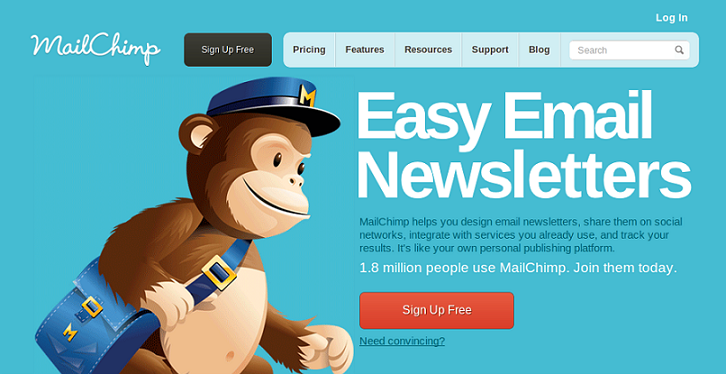 I recommend Mailchimp because of their free and awesome features. It has several packages and most of us go for the starter pack because of less subscribers and less emails per month. Mailchimp has a list of customizable options and themes which makes the email look so attractive and makes a positive impact on the user. The Started Pack – Allows 2000 Subscriber with 12000 Emails per month. I would recommend everyone to go for this pack who are just starting off with their new blogs. Don’t waste your money buying higher packages. The Growing business pack – The Growing Started pack is packed with some very cool and useful features like Automatic Emails, Database Connectivity, Message Targeting and much more! However, You need to buy an extra add-on to increase the number of subscribers and emails per month. The package costs only $25. The Pro Marketer Package – Packed with some great features and other customizable options. Available only for $199 per month. The High Volume Sender Package – It has many useful features like mandrill and costs only $240. You Need to buy an add on to increase the number of subscribers and emails per month. This is the best tool I have ever used to do research for event blogs. It gives a detailed and a organized data of backlinks of a website or a blog. If you can see the websites they made backlinks from, then you can repeat all the steps and make your link too. The Best thing about this tool is that it offers a 14 day trial which is great in my opinion because AHRefs also doesn’t provide and takes $7 for the trial alone which lasts 14 days only. This tool does Great Backlink Analysis. It has a clean and simple User Interface which can be good for people. I would recommend everyone to go and try cognitive SEO because it is a great tool and has a 14 day trial. My Rating for cognitive SEO would be 4/5. SEMRush is another big player in the market famous because of their clean and simple User Interface which from a point of view is great. Keyword – It shows keywords and related keywords to your searched keyword which is the same like Adwords somehow. Comp – SEMRush also provides the competition based on ranking a keyword. Lower means that the competition is low and the keyword can be ranked with a bit of hardwork. Higher means that there is high competition on ranking a keyword. Keyword Volume – This means that how many times a keyword is searched in the Google Search Results. This data is same as Google Adwords. Position – This means that on what keyword a blog is ranking on which position and in which country, You can then steal his keywords and Rank and Bank! Although this is a paid tool and quite expensive. It costs $69.95 Per month and it is the lowest pack. $549.95 is the highest Pack which is the business pack. Now, As we have reached to the Number 1 tool. The Number tool which helped me stabilize bhi rankings and get new keywords is Ahrefs. It is another paid tool but trust me guys, You wont find any better tool than this. it is my Personal Favourite tool too and It has really awesome features and tools! I always use this tool for my keyword research, keyword analysis, backlink profile and for many other things. The only thing which people dont like about this tool is that it does not have any FREE trial and is very expensive. the lowest package starts from $99 Per month which is quite expensive but still worth it! Helps to see on what keywords your competitior is ranking for. Allows to see all Backlink Profiles of your competitor. The Only thing I sometimes dislike about Ahrefs is the price point because the price of their services is a bit higher which should not be so. Guys, These were my top 5 tools which I use everyday as a digital marketer and if you want to add up something in this list then do comment down below as we love to hear from our readers. If you are having any query or difficulty regarding this topic then feel free to comment down below because we love to hear and solve the query of our readers.